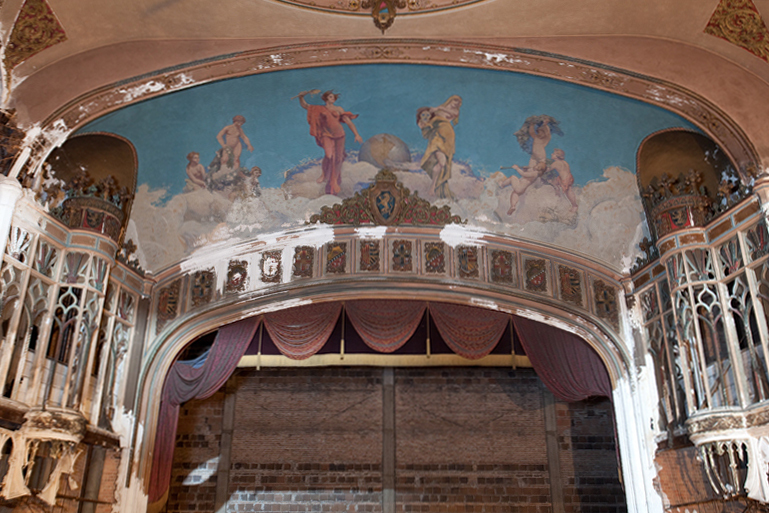 A close up of the mural painted above the proscenium arch. Another day, another state. The Majestic (Uptown) Theatre in Racine, WI opened in 1928. It was designed in a gothic style, which was unusual for theaters. The theater closed in late 1959. 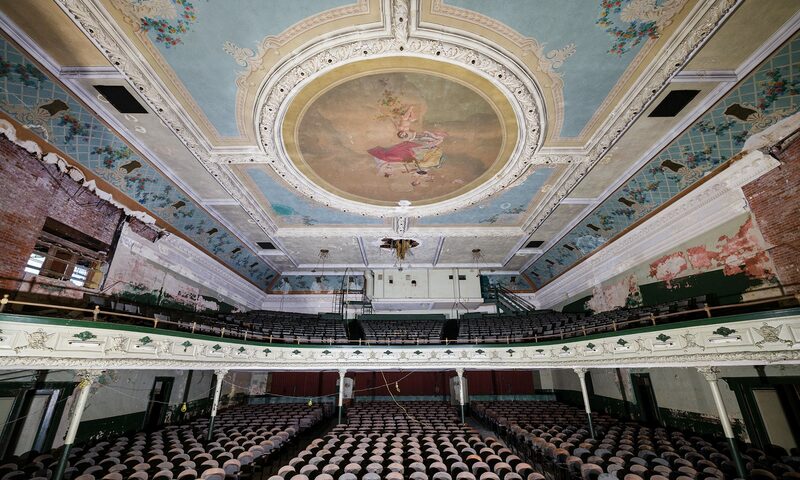 The theater closed over 50 years ago and still looks like this? WHY doesn’t someone restore it?! What is the space being used for after all these years to still look this good, at least from this picture’s pov? You’ll see why when the full article on this theater is posted.